View More In Firewood Racks. 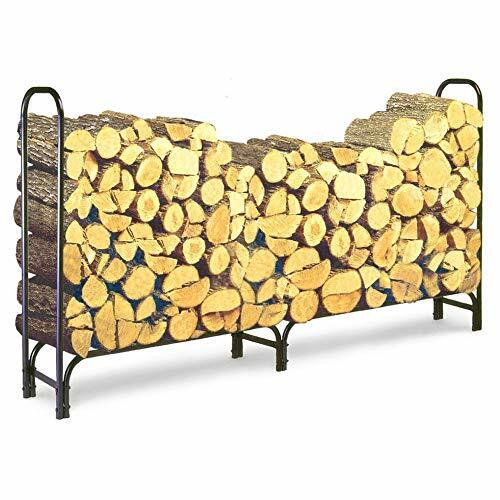 8' Firewood Log Rack is a durable and long-lasting outdoor log storage system that will hold and dry your cut logs until they are ready to be used. This handy product is designed with a strong tubular steel construction that allows for it to accommodate a large number of firewood logs without any signs of strain or buckling. The firewood rack will securely hold your logs and store them a full 9 1/2" away from the ground, keeping them from insects, mud and water. This item also has a black weatherproof, powder-coated finish that is durable enough to withstand even harsh weather year round. It is lightweight and can be moved around easily yet it is stable and able to carry a large amount of weight.